The village of Konali north is located 1 kilometer west from the Chennai National Highway 30 kilometers away from the Trichirapalli Junction. There are 80 houses with 350 people in the area. The villagers don’t have immediate access to medical, dental or vision care within their reach. They travel to the cities to to shop, buy medicine and access health care. The only transport is government provided bus available once every two hours. The major income source is from daily wages from field work. Some of the men in the families take up driving professions. At present, the only water source is government provided tap water, which is only usable for washing and bathing. The water storage tank is not clean and saline. The water runs to the community just half an hour in the morning only. How ever further down the water line the villagers live, they will receive less water. Actual availability time is much less. In addition to this, when the electricity is out, there is no water supply through the public tap. 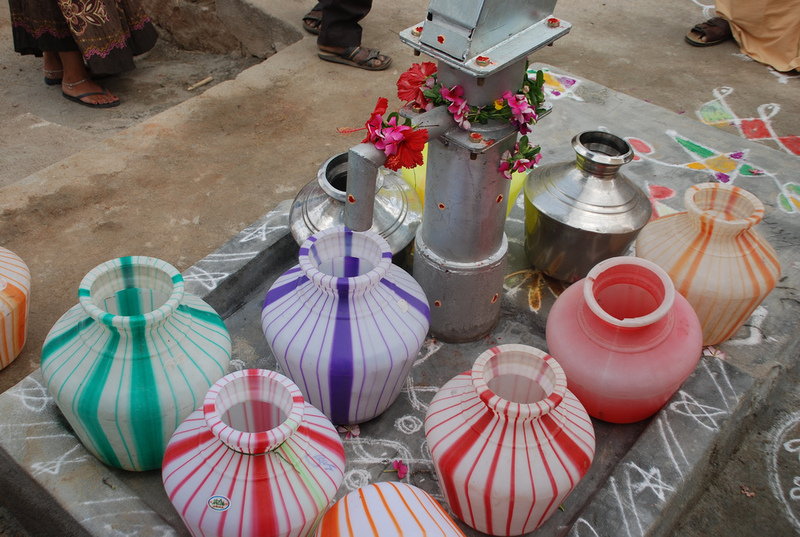 The villagers have to walk more than half kilometer to bring drinking water from where there is water available. 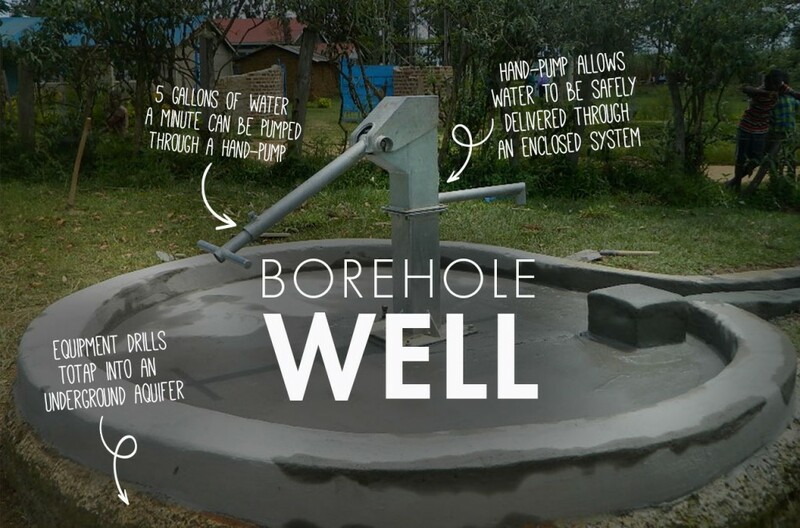 A deep bore well with hand pump could serve this community with safe and protected drinking water all through the day. There were over 100 men, women and children attending this dedication and the excitement level was really high and we spent quite a bit of time sharing God’s love with the people and encouraging them to grow in their faith and work towards serving those in surrounding areas with acts of love and compassion. Thanks to the generosity of The Water Project these people are enjoying a hand pump bore well which will supply the drinking water needs for those in this community.